I’ve been meaning to write on bad associations for a long time but there are so many other good articles on it that I’ve saved my fingers until now. I really enjoy a lot of Marty Kendall’s Nutrient Optimising (British spelling) material but I’m getting a bit annoyed at some of the association data that is being put forward. I guess I should be as annoyed at the ketogenic community associations as well. None of them meet the Bradford Hill criteria. So I am going to play the same game. My theory is that fresh broccoli causes obesity. Check out the blue graph below. 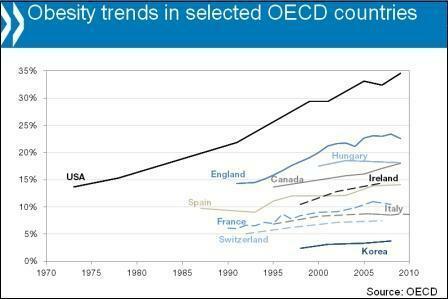 Here’s the chart for obesity. 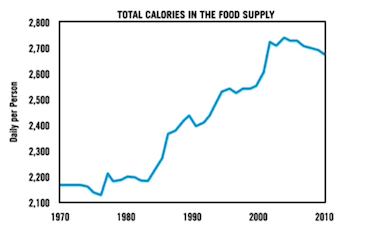 Here’s a chart for the total calories in the food supply. 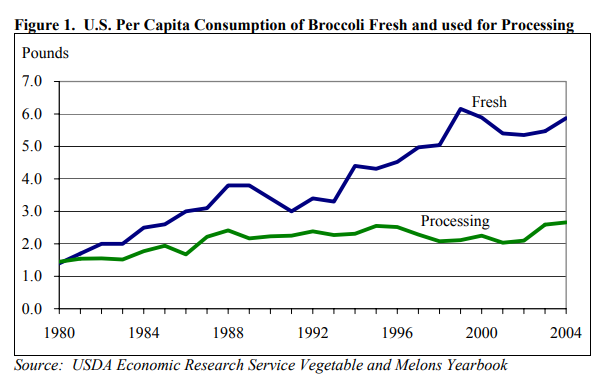 So it looks to me like obesity is caused by too much broccoli. And when the rooster crows the sun comes up. And fallacies go on and on.